In 1987, Gordon Gekko told us, “greed is good.” We admire Gekko’s bullish approach to investing, but we think he was just one letter off. 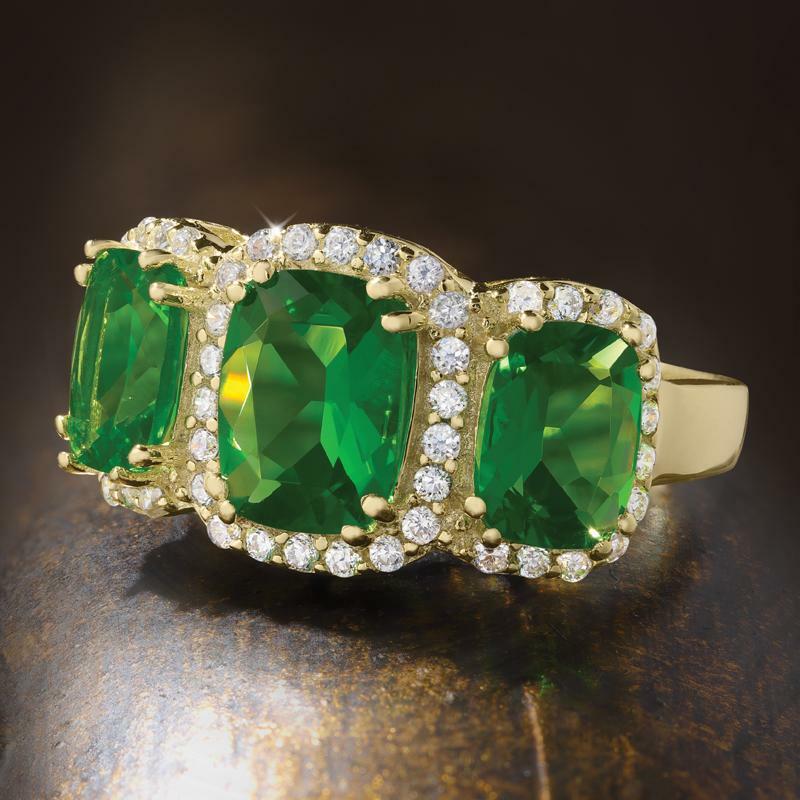 Once you’ve seen a helenite gemstone up close, you’ll agree— green is better. Helenite even comes from the one all-American source that’s even more powerful than Wall Street. When Mount St. Helen’s erupted in 1980, it covered 230 miles of the Pacific Northwest in millions-of-years-old molten rock. From that destructive display, something beautiful emerged. The heated volcanic ash revealed a green gemstone of exquisite color, clarity and quality. Ready to add something impressive to your portfolio? The Helenite Trifecta Ring is your chance to triple your helenite investment with three individual helenite gemstones, weighing a combined 3-½ carats. This is an American-made, blue-chip, green stone, set in gold-finished sterling silver, and surrounded by the fire of 46 white lab-created DiamondAura® stones. We’re selling low so that our customers can buy helenite in high quantities, pricing our initial public offering of the Trifecta Ring at $99. The Trifecta Ring is the rare offering that will pay off both immediately and long term, yielding great style results today and in the future.